Whether you have already read the book "Through the River" or are interested in the topic of truth and how it impacts your faith and relationships, we welcome you and look forward to interacting with you. What a silly name . . . there is no dumb outreach from the perspective of the people being helped. But if you think about the quality of the encounter, dumb outreach is pretty common. Why is the quality of our outreach so poor when we have so many resources/materials and helps? Most of the time we focus on tools and strategies for outreach and not on relationships. In the end our outreach teams are all about relationships and a tool might help. And in those relationships we tend to spend little or no time understanding how each other thinks about what we are doing. Thinking about what you think with sounds obscure and confusing, but all it means is that we understand the assumptions that drive our actions. Do you understand the assumptions held by the people you minister with? In our upcoming book we equip you with the three core assumptions about truth that are prevelant today. At first pass it is easy to think that all Christians view truth the same - but they don't. And how you view truth changes everything about how you reach out to others. In the coming weeks we will be telling you more, but take a moment and think about those you minister with in church, school, work, etc. Think about how they view the world and the assumptions they have. Now you are on the track to trading in that dumb outreach for some smart strategic ministry. Behind your every decision and relationship are assumptions about truth that guide your actions. They go unnoticed in your daily life but their influence guides your faith, your relationships and your outreach. Come and explore the communities that live in River Town. As you read this simple analogy, we will introduce you to the three most common ways to view truth today – we call them Truth Lenses and they are an important part of your worldview. We will watch as the Rock Dwellers, Island Dwellers and Valley Dwellers interact while using different lenses. Jon and Mindy Hirst are co-founders of Generous Mind, a think tank devoted to helping people be generous with their ideas. 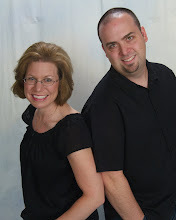 Jon graduated from Judson University with a major in Communications and a minor in Sociology. Mindy also gradutated from Judson University with a major in Communications. They also have the exciting role of raising three children. 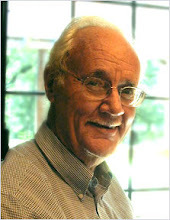 The late Paul G. Hiebert (1932-2007) was Distinguished Professor of Mission and Anthropology at Trinity Evangelical Divinity School and previously taught at Fuller Theological Seminar. He also served as a missionary to India. He recieved his Ph.D. from the University of Minnesota and was the author or coauthor of numerous articles and books in the fields of anthropology and missions.